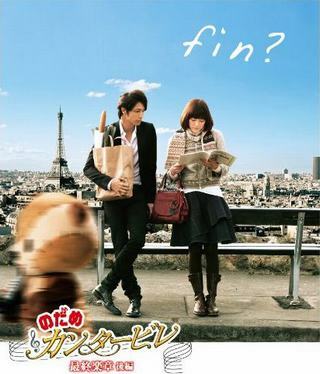 Nodame is still pining for the affections of Chiaki, but Chiaki wants them to concentrate on their musical careers and moves out. Chiaki then gets the opportunity to perform with Song Rui and the Wiltord Orchestra of Vienna. Meanwhile, Nodame remains at the conservatory in Paris, but Professor AuClair refuses to let her compete in musical competitions that could kickstart her career. When Nodame goes to a concert with her friends, she hears Ravel's Piano Concerto in G major and decides that is the song that she will one day perform with Chiaki. Unknown to Nodame, Chiaki is about to perform the song in front of her with Rui.